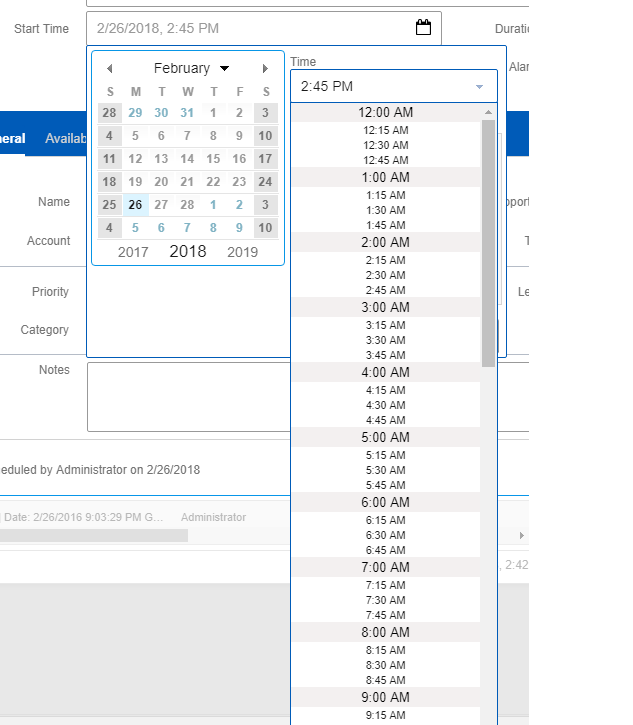 In later versions of the dijit library than is provided with Infor CRM, they have implemented a way to control the minimum and maximum times. But for Infor CRM that is not available. 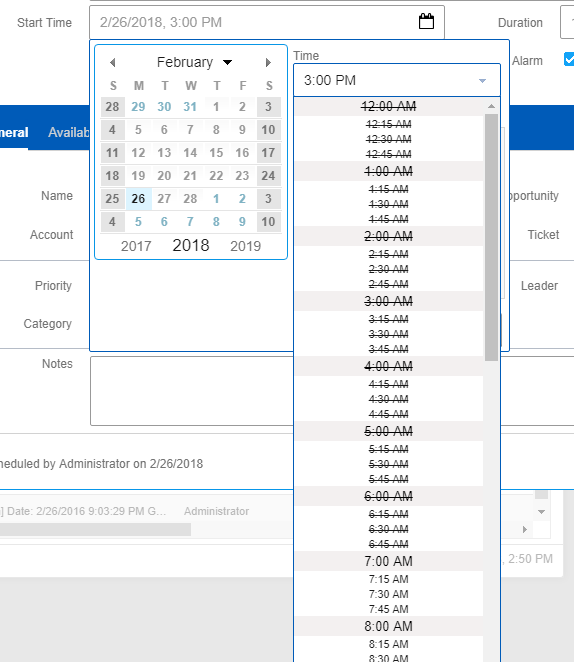 So how do you control what times are available? Well there is a way but it requires 2 parts. Lets take a look. The first step is to create a custom module that extends the base dijit TimeTextBox control. We can then add an aspect.before to the buildRendering base function to add in minimum and maximum a constraint. 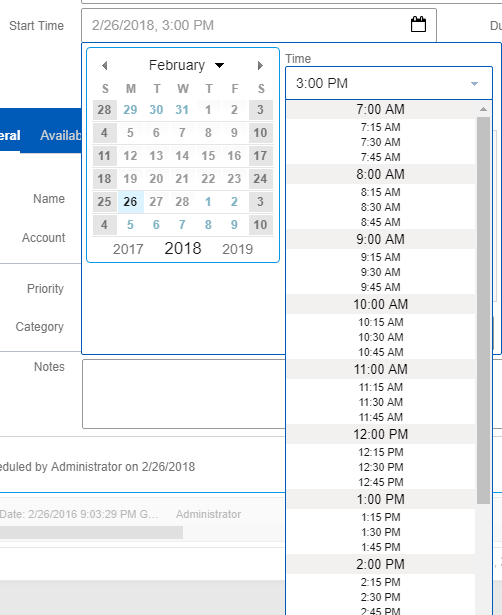 Now with both of those implemented the time picker no longer shows the times outside the range we want.